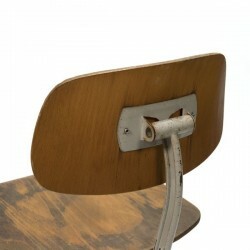 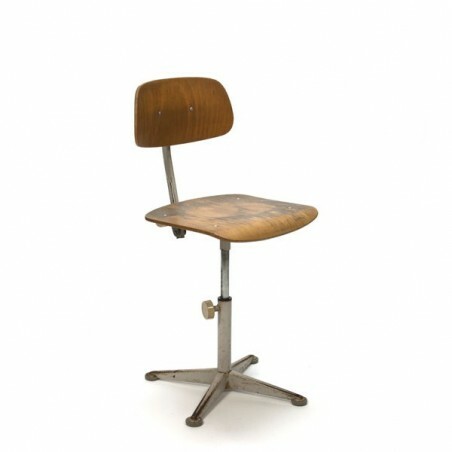 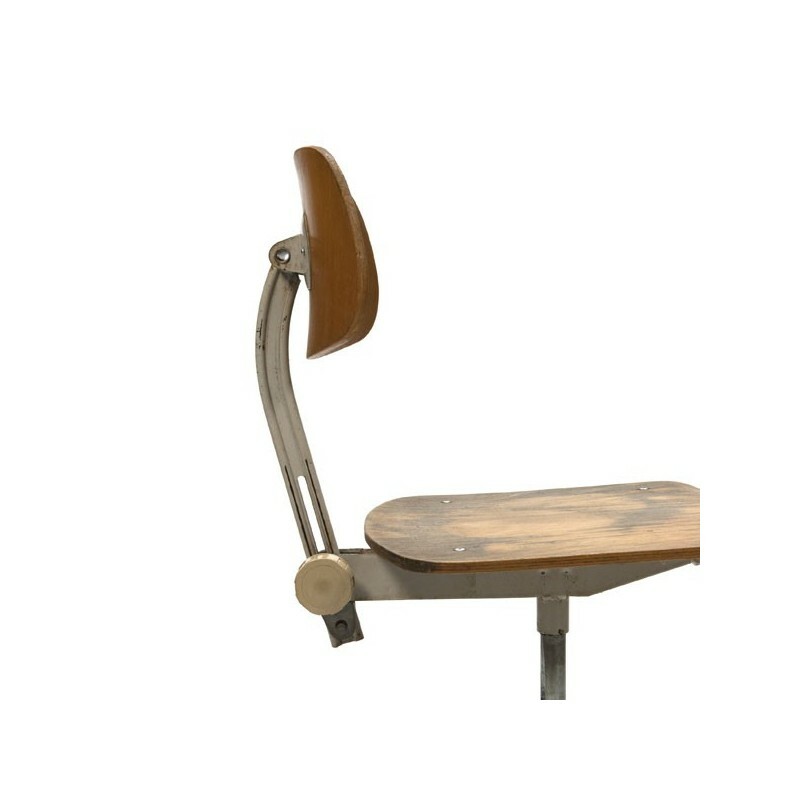 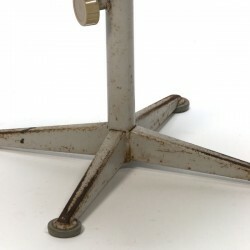 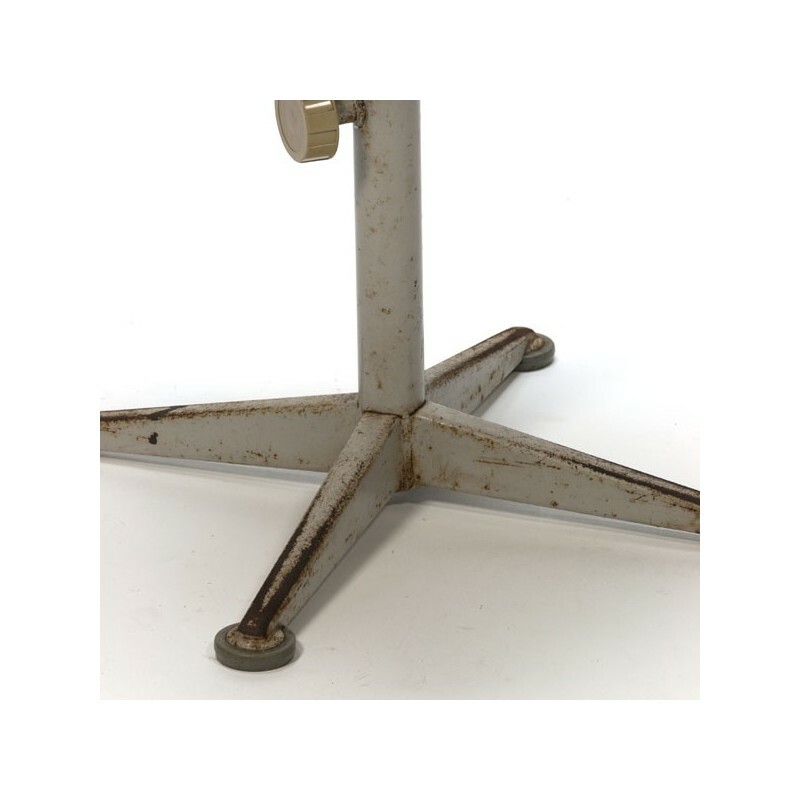 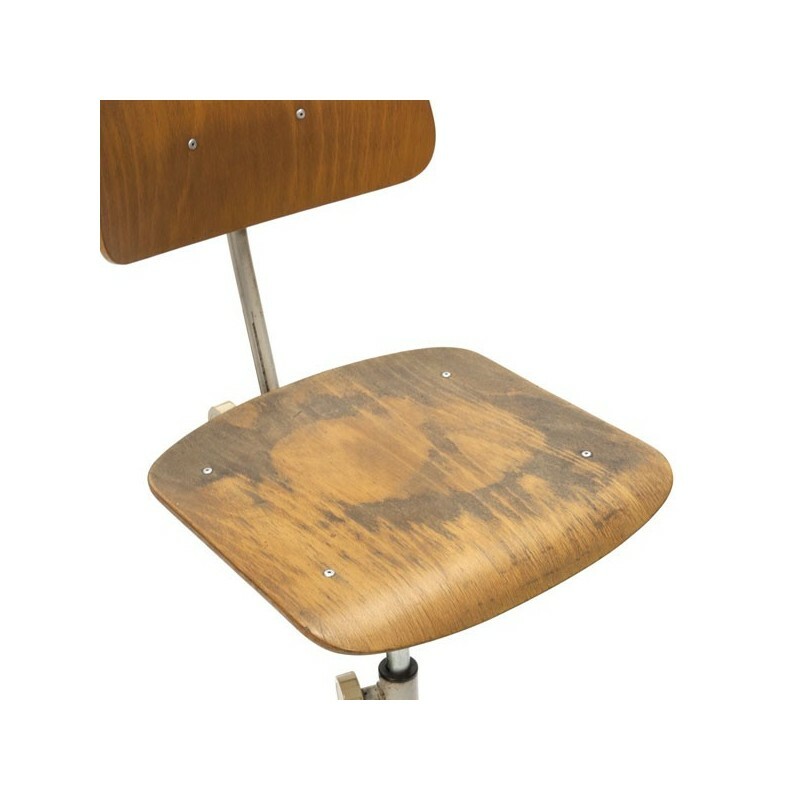 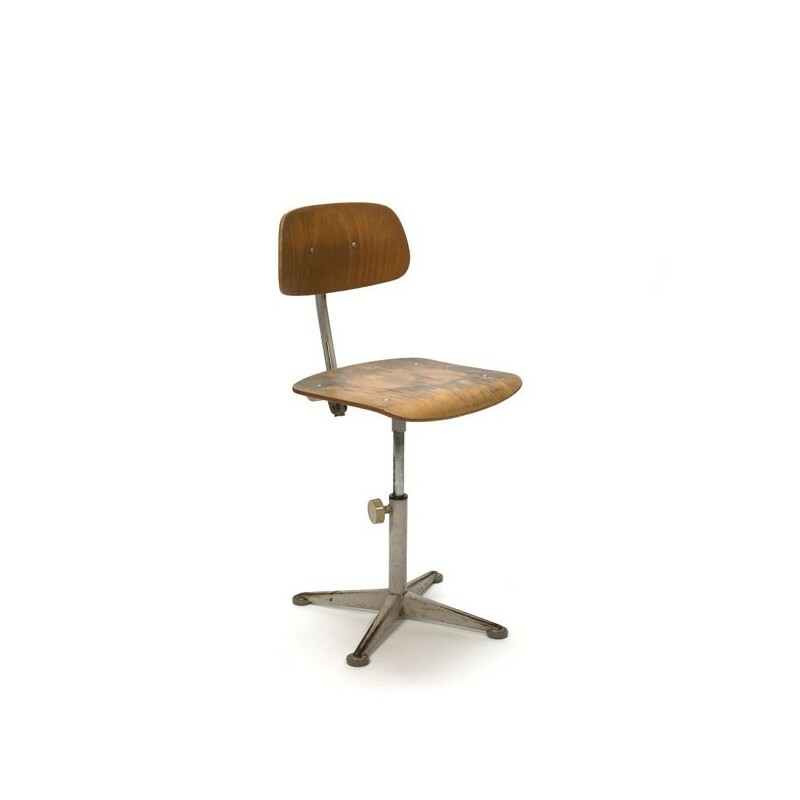 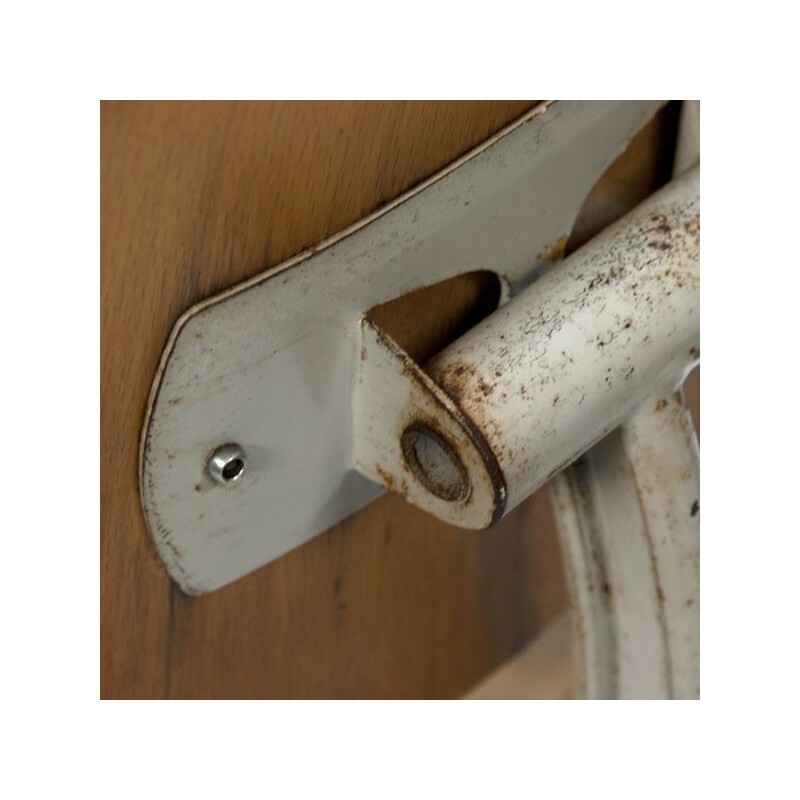 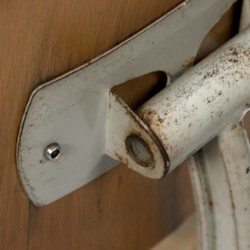 Industrial chair designed by Friso Kramer in the fifties and manufactured by Ahrend de Cirkel. 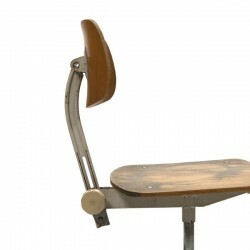 The seat height is adjustable, the seat height is at least 43 cm and up to 56 cm high. 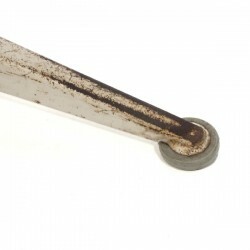 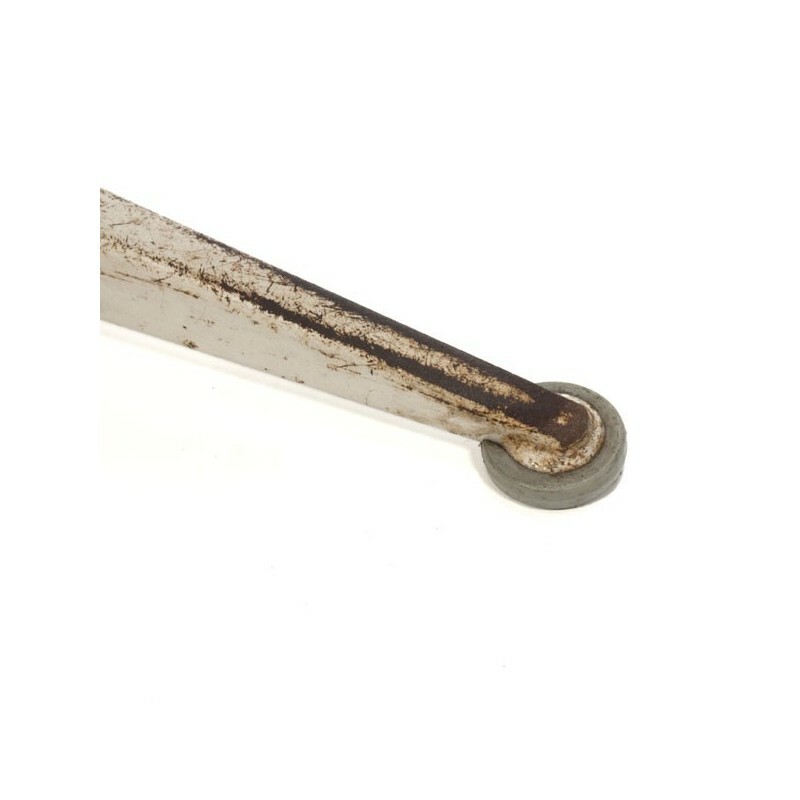 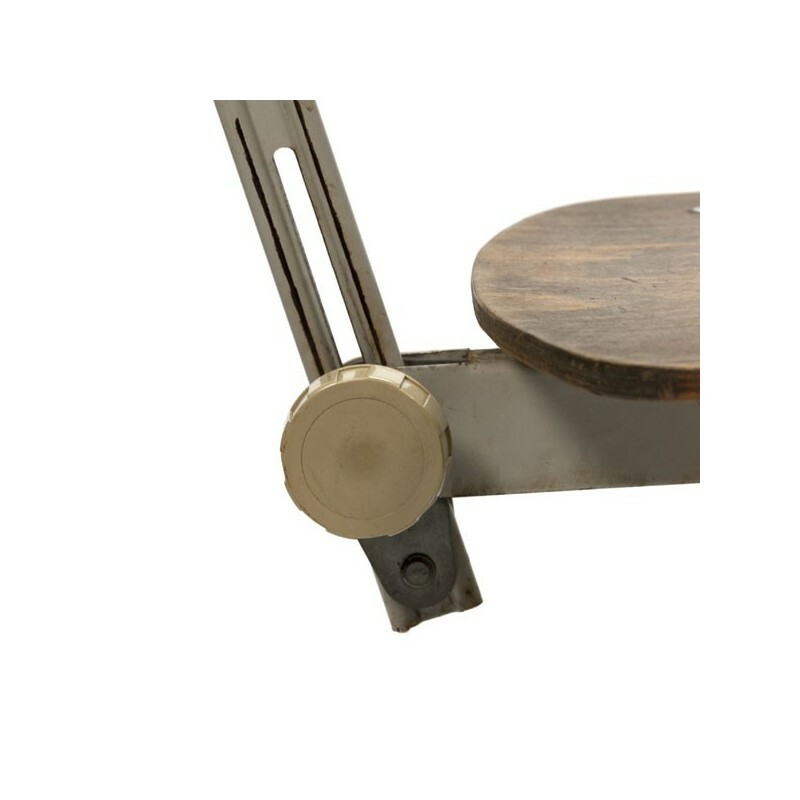 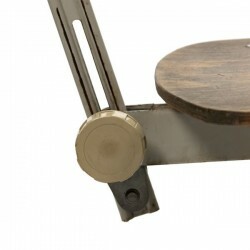 The drawing table chair is 39 cm wide. 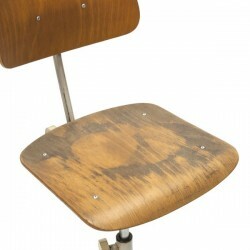 The condition is fair, there are some spots on the seat, see also the detailed pcitures. 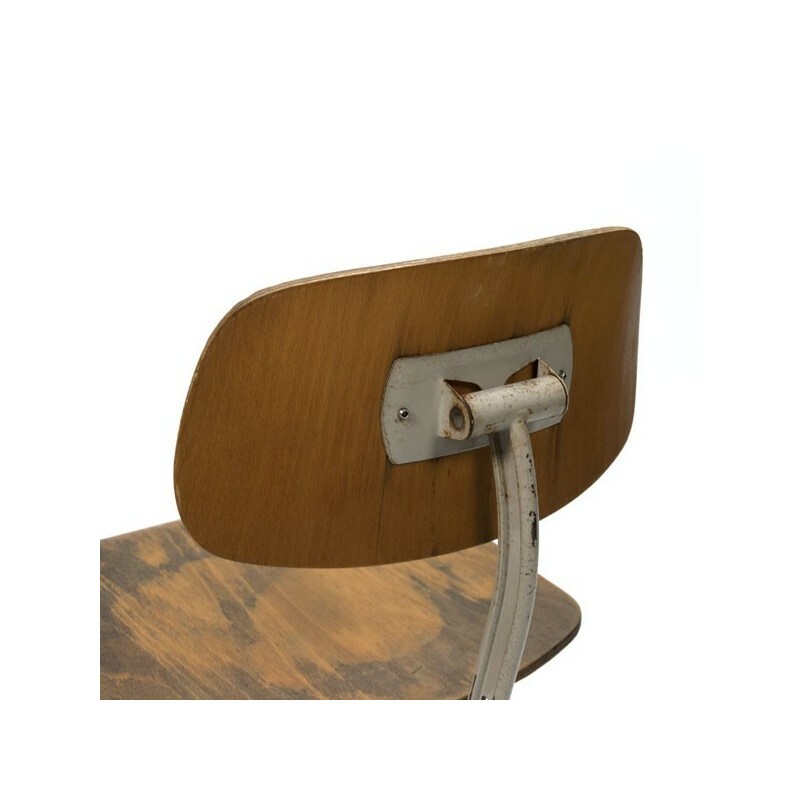 The price is adjusted to the condition.